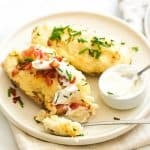 Twice Baked Potatoes – flavor-packed twice baked potatoes added with cheese, bacon and/or sour cream. Makes any Thanksgiving or regular weeknight meal extra delicious. Best served as a side dish or appetizer. Potatoes are a staple here at home. I personally love adding them on stews or soups and, of course, as a side dish. Heck, I even love making them for snacks – HELLO f-r-i-e-s!! 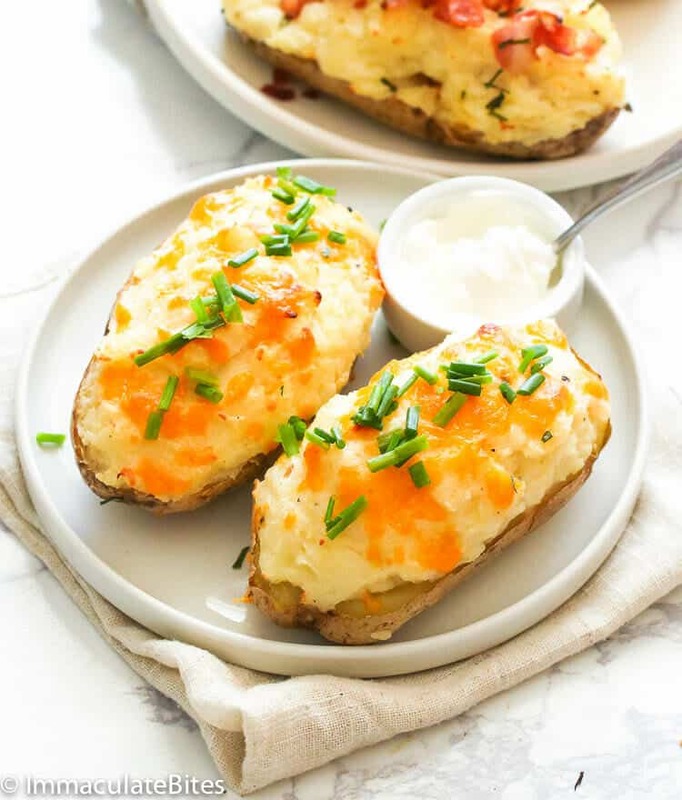 And since a few of my friends are already coming up with their Thanksgiving menu, I suppose it’s about time to start gathering few new recipes that would please my family’s appetite, starting off with this Twice Baked Potatoes. 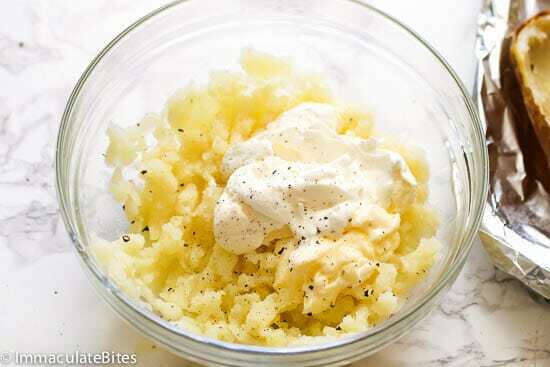 This roasted garlic mashed potatoes was a huge hit last Thanksgiving Day. I had to make another batch for my relatives who came over that night since the first one was cleaned well during lunch. But this year, I’ll be going with this extra special make-ahead dish. 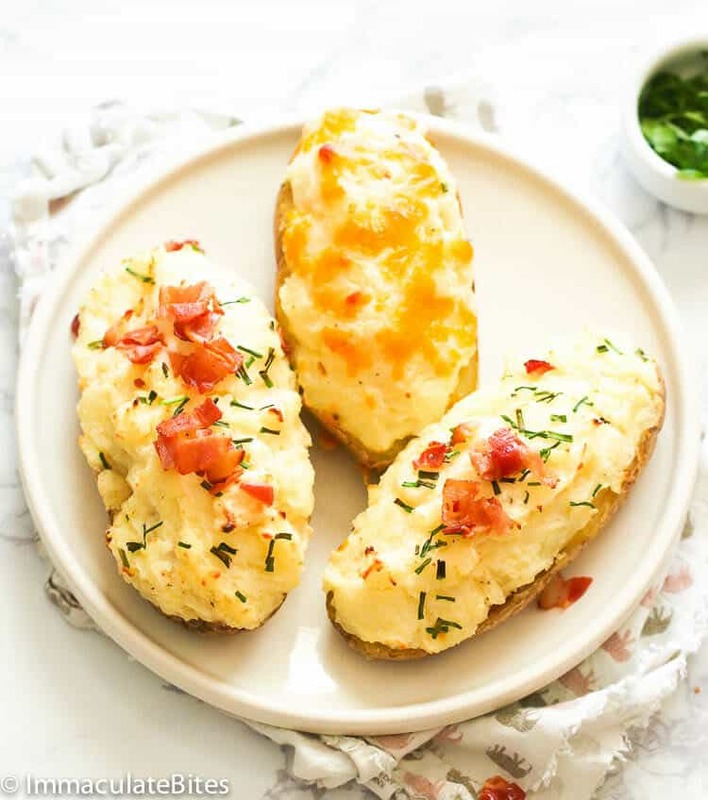 How to make twice baked potatoes? It is called twice baked due to its cooking method. As the name suggests, it’s baked twice. You have to clean and line the potatoes first in a baking sheet. Once it’s all tender, you have to slice it half and gently scoop out the potatoes without destroying the skin. As you can imagine, the method is similar to that of butternut squash boat recipes that you see on pinterest and many other sites. The potato skin itself will hold the scooped potato mixture as we bake it again in the oven. It may sound like a lot of work, but just imagine the lesser clean up when using this recipe. You can toss whatever add-ons you prefer into the potato mixture before you scoop it back into the shells and on to the oven. 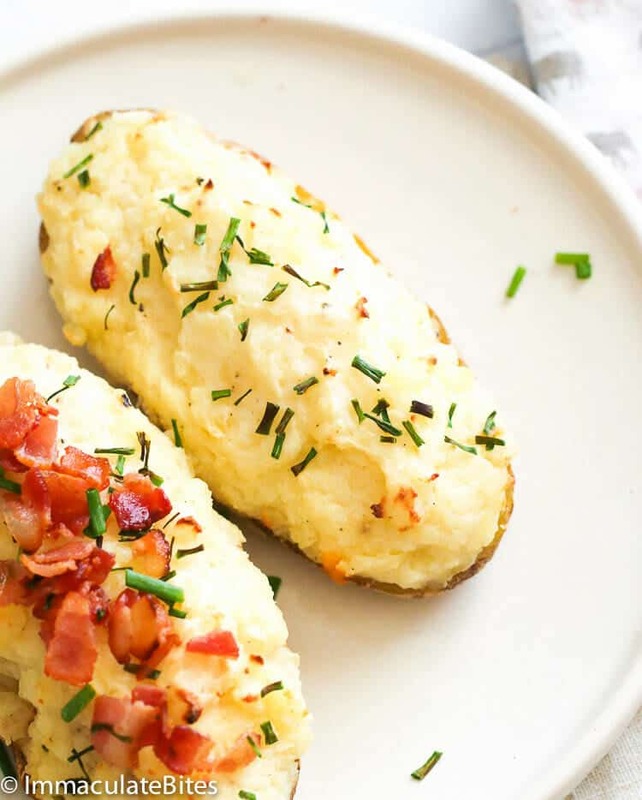 How long to cook twice baked potatoes? The first baking would eat up more time as you need to bake it in the oven for an hour or until potatoes are tender. Once you realize how fancy and delish this potato dish is, then it’s worth all the wait. On the other hand, the second baking requires just around 15-20 minutes to let all the add-on flavors fully incorporate into the potato. You can add it with some chives, diced green onions, cheese, chopped ham or bacon. 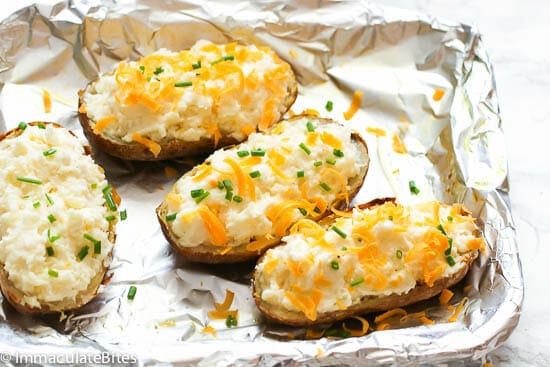 This twice baked potatoes also makes a great make-ahead dish. 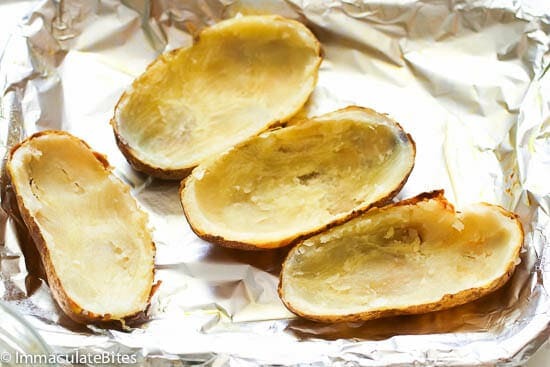 Once your potato skins are stuffed, you can freeze them in a zippered bag after you freeze them on a baking sheet. Or place cover them with plastic and place them in the fridge for several hours or overnight. 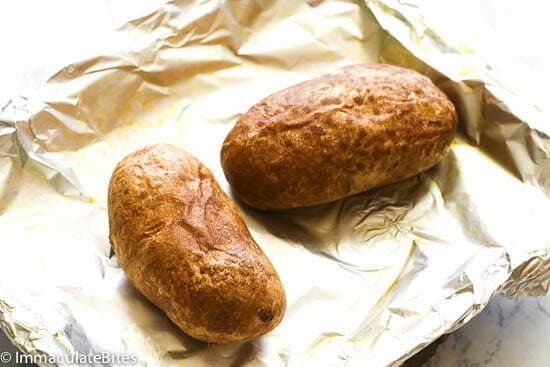 To bake frozen stuffed potatoes, add an extra 10-15 minutes to the baking time. 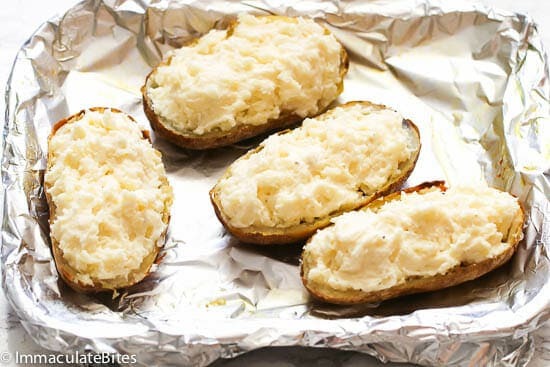 Aside from how these twice baked potatoes freeze beautifully, it reheats well, too. Since the potato mixture has sour cream, it helps the potatoes to stay creamy inside even after reheating. To reheat, simply thaw it overnight in the fridge, then bake for 15 minutes. You can also add more cheese if you want before tossing it in the oven ’cause more cheese is twice better, right? The mashed potato filling in this recipe is super easy to make, so don’t worry about that, and so flavorful. I had to eat three of them in one sitting before I realize that I still have to take pictures of it. 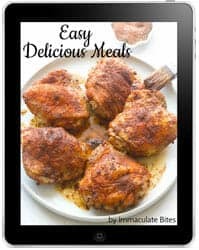 Do you have any particular recipes that you want me to make? Hit the comment box below. Any potatoes would work fine, but I prefer Russet potatoes. You can also make it into a twice baked potato casserole. So instead of putting the mashed potatoes back into the potato skin, place it in a casserole dish and bake it for 25-30 minutes or until cheese is melted and potato is warm. Add more cheese to your heart’s desire. Twice Baked Potatoes - flavor-packed twice baked potatoes added with cheese, bacon and/or sour cream. Makes any Thanksgiving or regular weeknight meal extra delicious. Best served as a side dish or appetizer. Start by preheating oven to 400 degrees F.
Cut the top ¼” to ½” off of a whole head of garlic, so that each individual clove should be visible. Make sure every garlic clove is exposed. Place the head of garlic on foil paper together with the thyme. Drizzle the top of the garlic with a bit of oil, about 1 teaspoon. Wrap it up and place it in the oven to roast for about 30 minutes or more. It should be soft, fragrant, and golden. Let the garlic cool, then squeeze individual cloves out of the skin. You may bake with the potatoes and remove after 30 minutes. 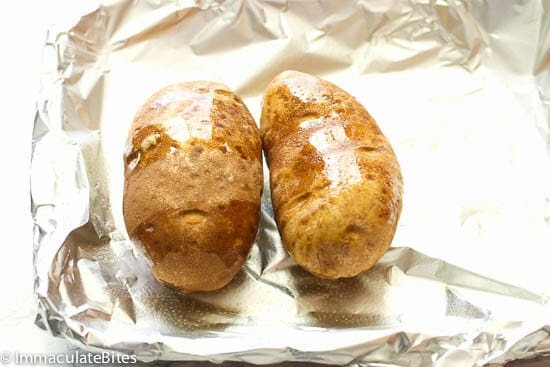 Line a baking sheet pan, for easier clean up – place potatoes baking sheet. Spray with cooking spray or completely rub them with oil, if adding garlic. Bake for about an hour – potatoes should be tender and thorough cooked through. Let it cool for a about 5 minutes. Carefully slice potatoes in half. Using a spoon gently scoop out the potatoes without destroying the skin. If using a potato ricer, press potatoes and garlic into large bowl. Add, butter, sour cream, cream cheese and milk; stir to blend. Season to taste with salt and pepper. You may add more milk, if desired. Add additional ingredients like green onions, chives or cheddar cheese. Spoon the mixture back into the potato skin, piling high, cause it shrinks when baked. 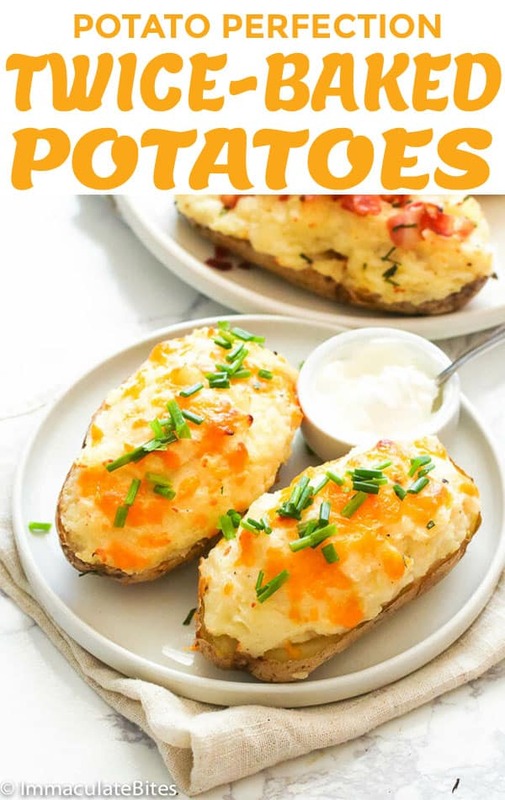 Top each potato with a some grated cheese of your choice and bake in the oven until the potato is warmed through, about 15 to 20 minutes. Remove and garnish with additional ingredients or serve with ingredients on the side. Start by preheating oven to 400 degrees F. Cut the top ¼” to ½” off of a whole head of garlic, so that each individual clove should be visible. Make sure every garlic clove is exposed. Place the head of garlic on foil paper together with the thyme. Drizzle the top of the garlic with a bit of oil, about 1 teaspoon. Wrap it up and place it in the oven to roast for about 30 minutes or more. It should be soft, fragrant, and golden. Let the garlic cool, then squeeze individual cloves out of the skin. You may bake with the potatoes and remove after 30 minutes. 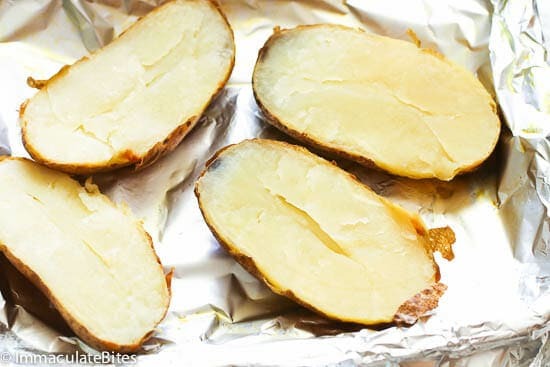 Line a baking sheet pan, for easier clean up – place potatoes in a baking sheet. Spray with cooking spray or completely rub them with oil. If adding garlic. Carefully slice potatoes in half using a spoon gently scoop out the potatoes without destroying the skin. Spoon the mixture back into the potato skin, piling high cause it shrinks when baked. Yes you do . Thanks for bringing this to my attention. I’ve seen many ”twiced bakes potatoes” recipes but I’ve never tried myself. I guess I should, it looks great ! Thanks . It tastes even better . Let me know the outcome if you do .